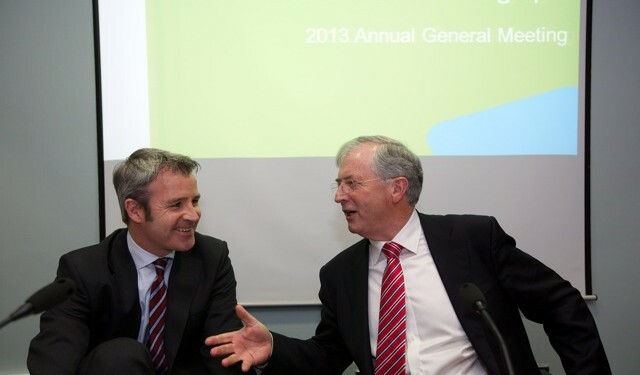 Andrew Langford, Group Chief Executive with Michael Berkery, Chairman, FBD. 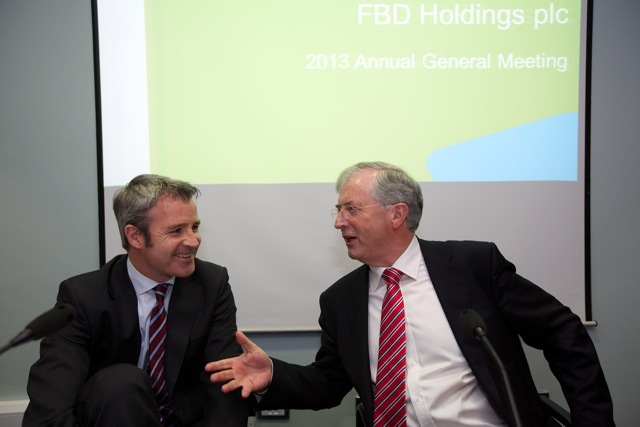 FBD holdings has cited severe weather events as the key reason behind a fall in its profits in the first half of 2014. With profits before tax falling to €3.27m from €19.09m in 2013, FBD says the figures were expected to be lower than in the same period in 2013 primarily due to an increased cost of severe and persistent weather and increased frequency of car insurance claims. FBD Insurance’s capital base further strengthened with a solvency level of 73.4%, compared to 69.7% at June 30 2013. Commenting on the results, Andrew Langford, Group Chief Executive, said: “These are robust results in a period significantly influenced by weather and an increase in claims frequency across the Irish car insurance market. In this period, we have worked tirelessly to put things right for over 9,000 customers directly impacted by the severe weather, at a cost of €44.3 million.